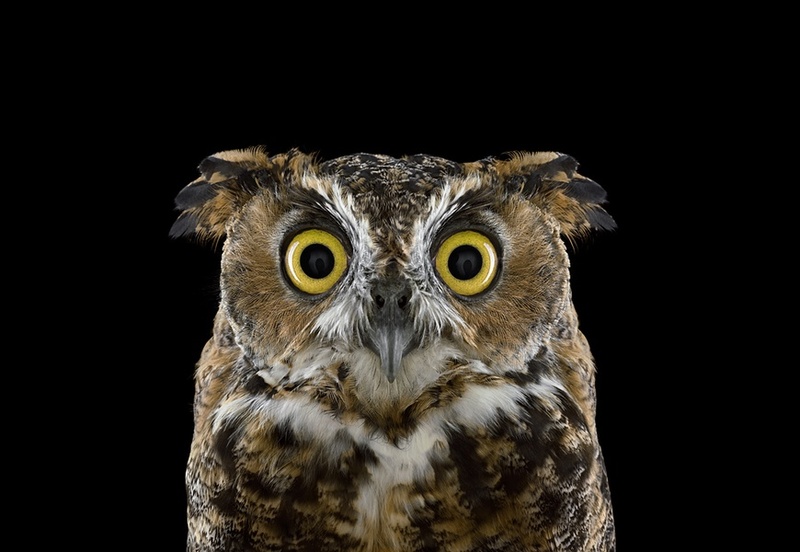 photo-eye Bookstore + Project Space Interview: Brad Wilson on Wild Life & the Affinity Series We are pleased to host an exhibition and the international book launch for Brad Wilson's Wild Life at photo-eye Bookstore + Project Space on August 22, 2014 from 5-7pm. photo-eye’s Book Division Manager Melanie McWhorter speaks with Wilson about the experience and challenges of photographing wild animals in captivity, his thoughts on presenting this body of work and what he has learned in the process. 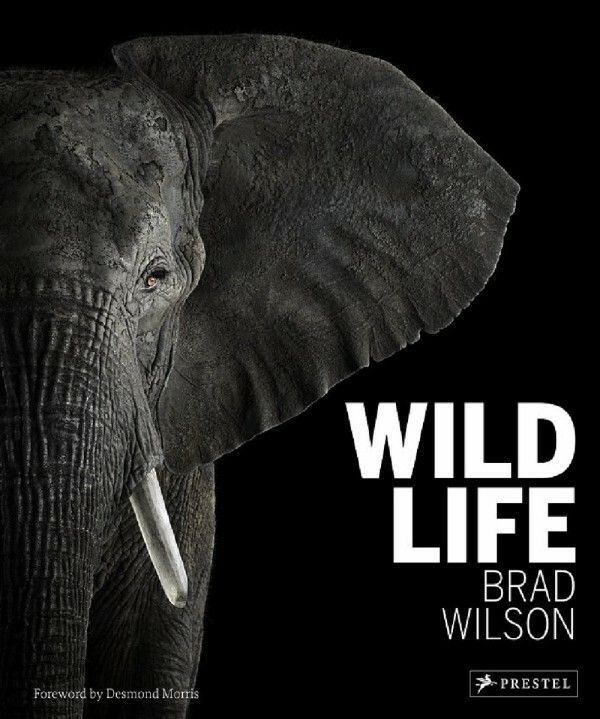 We are pleased to host an exhibition and the international book launch for Brad Wilson and his new book Wild Life being released by Prestel this fall. The opening and book signing will be held at photo-eye Bookstore + Project Space on August 22, 2014 from 5-7pm. The exhibition will continue through October 11, 2014. 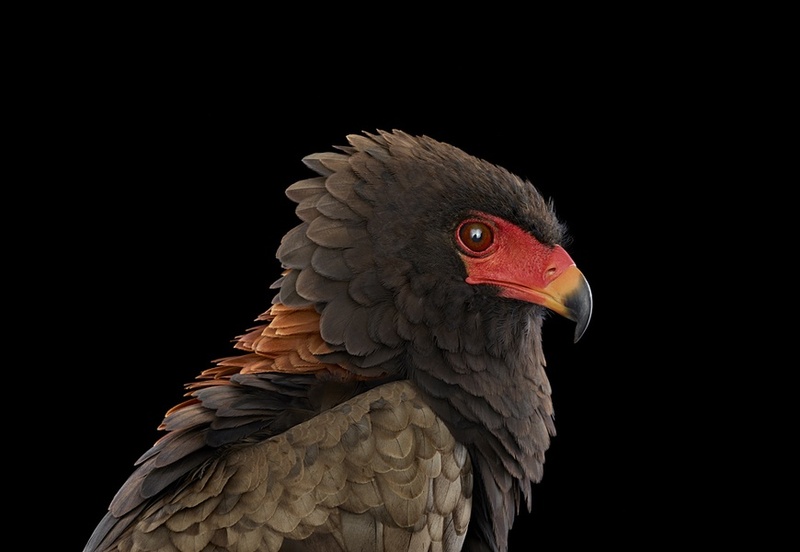 Wilson has been photographing his Affinity series, close-up portraits of birds, reptiles and mammals, since 2010. 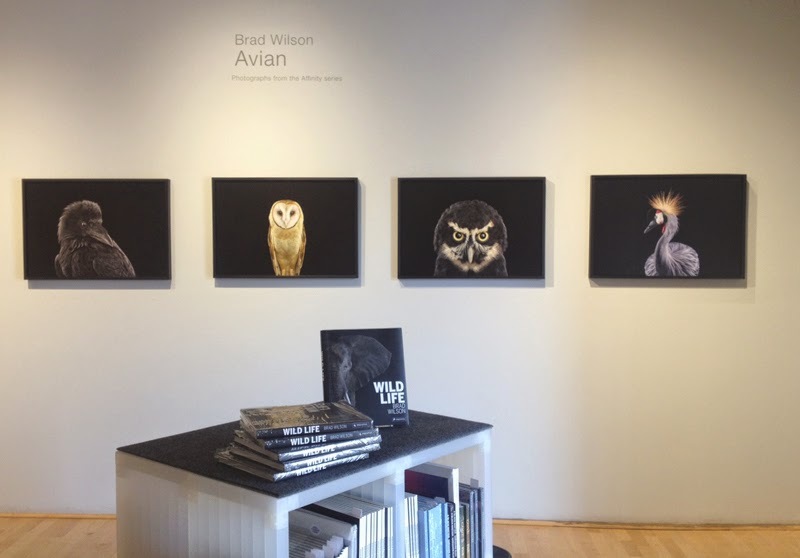 For the photo-eye exhibition titled Avian: Selections from the Affinity Series, we highlight Wilson’s engaging images of birds. The prints showcase an often larger than life representation of the animals. 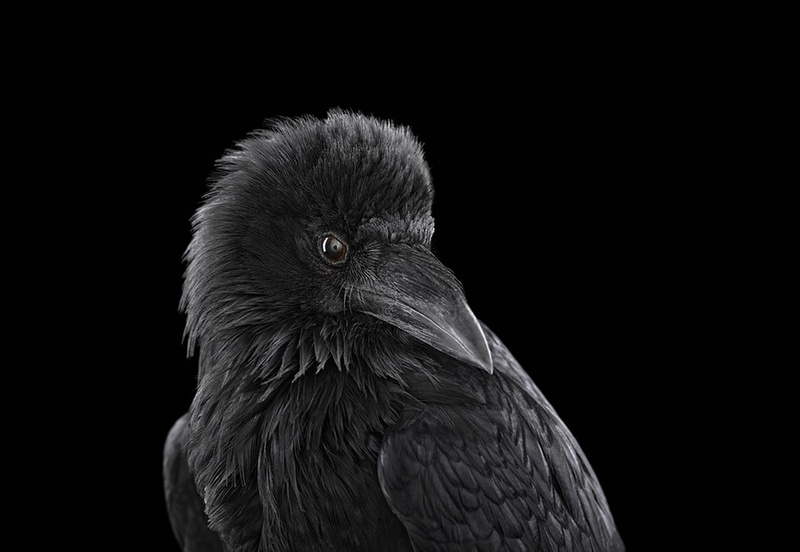 Shot with stunning detail, the studio lighting and skilled camera execution illuminate every feather and focus on the bird’s eyes while the black background isolates the animal for concentrated experience with the photograph. Wilson's book Wild Life expands upon our selection, featuring over 70 plates from the series and a large variety of animals. photo-eye’s Book Division Manager Melanie McWhorter speaks with Wilson about the experience and challenges of photographing wild animals in captivity, his thoughts on presenting this body of work and what he has learned in the process. Melanie McWhorter: Your previous project titled Relics was of Salton Sea fish on a black backdrop, a way of photographing that is very similar to Affinity. Did this previous project lead you into the new project aesthetically, emotionally, intellectually? Brad Wilson: I think it did lead me to my latest project in a lot of ways, although many were subtle. The aesthetic choices were consistent and somewhat obvious, but the emotional undercurrents were not. I learned that I’m drawn to subjects that are removed from their normal environments - so fish in the desert, for example. They're completely isolated and exist in a surreal setting: the dry landscape surrounding the Salton Sea in southern California. I chose to isolate them further by bringing them into the studio. I made the same choice with the animals in the Affinity series. They are similarly removed from their normal environments – they are not wild. They're captive but they've all come to that captivity in different ways. Some are in sanctuaries, some are in zoos, and some are in commercial training operations. Although these animals are habituated to humans, they're certainly not domesticated and they're still pretty much wild. When you bring them into a photo studio, they're contained but they still can do what they want to do – up to point. My job is to find that moment in the middle of all this sort of organized chaos, for lack of a better word, and capture it. It's hard to think about all the other things that are going on in your life. That was the key insight in working with these animals. They represent what we’ve lost and I think that's why we're so fascinated with them; that’s why I’m always fascinated with them. MM: The English zoologist Desmond Morris, the author of The Naked Ape and The Human Zoo, among many other titles, mentions in the introduction to your book Wild Life about how the flash is foreign to the animals. How did the animals respond? BW: Well, it's different for every animal, but what I tried to do especially when I was working in California, is rent a really huge sound stage. The studio, the actual set for photographing, might be 10% of the entire space. I thought that added a level of comfort because wild animals generally are wary of being indoors and they may feel overly confined and freak out. So we would bring them out and go at their natural pace. We flashed the lights before they even get on the set so they know that this is what's happening. Because of my own technical and lighting requirements, I wanted things to look a certain way and this meant there would be a big bright flash of light. Wild Life by Brad Wilson. Prestel, 2014. A lot of the animals didn’t really react at all. They weren’t particularly concerned about the flash. Then some would learn very, very quickly that if they looked at me, the flash would go off. I'm trying to get the animal to look toward me and the camera, and they would sometimes just turn to me and close their eyes. The elephants would do that, the big cats would do that. We had to find a way to get them a little bit engaged with me because they don’t really have any interest in me or the camera. One way you do this is offering food rewards. Through this process, I learned how important the eyes are to us as humans. The point of greatest connection for us is visual - to look at somebody in the eyes - but that's not the case with most animals. It's about other senses, smell especially. Getting them to look at me became a little bit of the Holy Grail this whole shoot. I wanted that kind of visual connection that humans would respond to. I want each animal to look right into the camera at least once, and sometimes, they never did. Generally, I had them for anywhere from an hour to four hours. If I got five good minutes in that timeframe, then that was good and that's all you got. I left it up to the trainers and the handlers and I just said, “Look when the animal needs a break, we take a break.” If they're on set for two minutes and they start looking like they want to go off the set, then they go off the set. Some you can coax back on for a while, some may take 30 minutes before they're ready to come back. MM: Some of the animals that you have photographed are common, like the raven, but there's also some that are or soon to be threatened or endangered species. How did you choose which animals you photograph? BW: I think it was both the accessibility as well as certain vulnerability and what drove the project forward faster than I anticipated was the fact that many of these animals are disappearing from captivity as well as the wild. When I decided that I wanted to photograph an orangutan, there's only one. I want to photograph a chimpanzee, there’s very few of those left in captivity. MM: There's only one orangutan in captivity? BW: We'll, there's only one that I could photograph in the studio. They're plenty in zoos, but the zoo philosophy as you probably read in the Desmond Morris essay in the beginning of the book is to no longer train animals or even habituate them much to humans, and try to let them live as wild as possible. If you brought a zoo orangutan into a studio, very bad things happen. Limbs would be lost. The challenge is how could I find these few that were left? I thought that if I didn’t do it quickly, there might not be any available. It's impossible to photograph these animals and not understand or at least engage a little bit with the conservation aspect of it, but I didn’t really want to push that agenda because I think a lot of people have already done that with their books and with their work. I just wanted to give the viewer this experience with the animal and what they do with that experience is up to them. That's why the black background, that's why no distractions. It's just you and the animal and you can kind of inhabit the space with the animal. MM: When photographers start to take a political stance, it may or may not limit access to subjects in the future. BW: Yeah, I totally agree. I mean that's what it comes down to for me. I felt that it would be truly disingenuous to make up this whole angle after that fact, even though everybody wanted to put a conservation agenda on to the work right from the start. The most frequent question I got is “Why are you not in Africa? Why are you not photographing these animals in the wild?” Nick Brandt has been doing that for years and very, very successfully. A ton of photographers have flocked over there to copy him and why would I want to be one of those? MM: It’s interesting that you selected a zoologist to do the essay. BW: Prestel picked him. I thought it was absolutely great that they got him. What I love about Desmond is he is 85 years old, so he has lived this amazing life and worked with animals in the 1940s and 50s and all the way to the present day in his research. He has seen this whole shift in our perception of animals as a sort of semi-inanimate objects... where a lion is a lion is a lion. Where we now see them more as individuals and give them more rights – for lack of a better word – and recognize that they are threatened in the world. MM: It's a very brief essay by Desmond Morris, but he talks about what he has witnessed about how the animals have not changed, but our perception of them has. BW: Think about how easy it would've been for me to do this project in the 1920s. I wouldn’t have my digital camera and all my lights, of course, but you could just get the animals anywhere and nobody thought anything about it. There were plenty of animals in captivity, zoos were training them. There wasn’t really any animal rights movement or animal conservation movement at that point. It was just beginning. For me, initially, what was great about this project was the thought that “I'm going to learn all this stuff about these animals.” Well, no, I learned a lot about myself. We’re losing these animals, we're diminishing ourselves. Just plain simple. MM: Most of your prints are pretty large. Why did you choose that size versus a more intimate size? BW: I think part of it was a discussion with the gallery in London. We talked about how the public would perceive the work. We really thought large prints would have an amazing impact and because of very high resolution, you're seeing every little strand of fur, every little feather. You're seeing the animal in a way that you could never see it in the wild or in a zoo. You're never going to get that close, never going to get it to hold that still. To have it be 40 x 60 inches, it impacts you in a different way and it becomes something else - and it's hard to describe exactly what that something else is. There's another dimension to it, and then what happened, much to our surprise, was the best-selling size was 40 x 60. We realized that maybe we’re right in our initial assessment that the larger prints added another dimension to the work. MM: The plates in the book show dates for this project from 2010 to 2012. Are you still working on it? BW: It has been kind of ongoing. I started at the end of 2010 and because of the resources required to do each shoot, I couldn’t just keep shooting constantly. Often there were many months between each shoot. The last shoot was March of this year (2014). MM: What did you shoot? BW: I did a mandrill monkey in Los Angeles and then I went up to Monterey, California and worked with three new elephants, a black leopard and a golden tiger. Sometimes you follow the path that you're getting attention for, that you're getting success with, but I'm kind of pausing the project for now. I'm working with another 40 or 50 images that aren’t in the book. I'm focused on those and I am going to present those. We'll see what comes up. Once the book comes out, if I get any offers to shoot any other animals, that would be great. I mean there's some that I really want to work with. There's a polar bear that I found, maybe the only one in the world that you could bring into a studio. She was an abandoned cub that the trainer found when the bear was very young. He has worked with her every day, but now, many years later, it is a massive animal. I think that also because they're disappearing from the wild that it would be an amazing experience. The trainers charge accordingly and since she's the only one in captivity, it's a little cost prohibitive. I don’t know what's next. Let’s see. 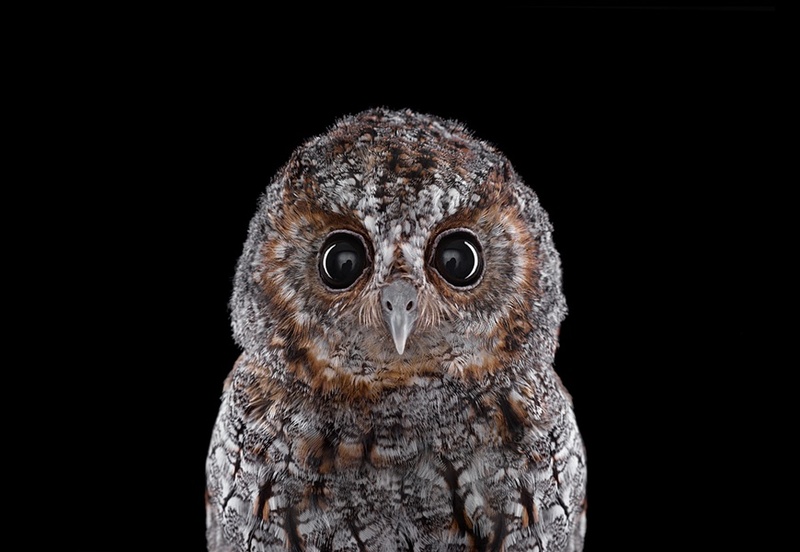 A selection of bird images from Brad Wilson's Affinity series is currently on view at photo-eye Bookstore + Project Space.